Accentuate your elegance and fashion-consciousness with luxurios gold framed earrings with a faceted opaque bead in the center. Three large dangling beads complement the design. 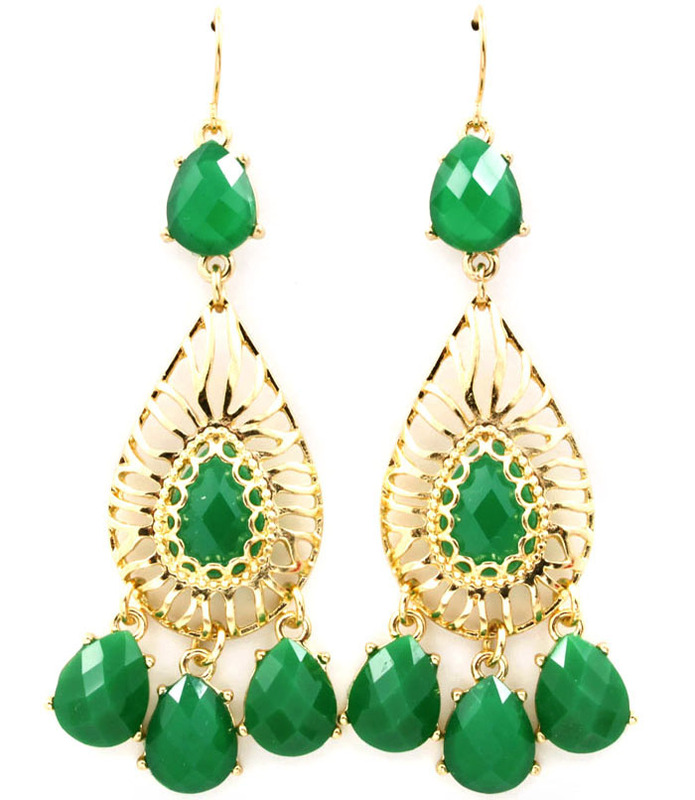 Add style to any outfit with this stunning fashion jewellery item, buy now!